25 April. 1915. It’s dawn and boats carrying Australian and New Zealand soldiers land on the beach of what is now known as Anzac Cove on the Gallipoli Peninsula, Turkey. The plan was to capture the Ottoman Empire, an ally of Germany, and infiltrate the Western Front in Europe. 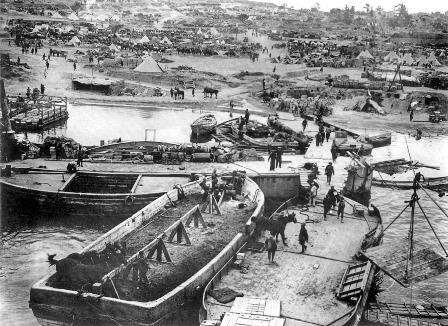 A strike was planned and the soldiers were set a landing point, the start of an endeavour that was said to have been misconceived and ‘doomed to fail’. These men weren’t expecting to arrive at Anzac Cove with its steep cliffs and Turkish soldiers, which numbered in their thousands, watching them arrive. Many of the landing soldiers didn’t even set foot on the shore before they were killed on that fateful morning so long ago, a day in history that will never be forgotten. Ninety-six years on and it’s 2011. 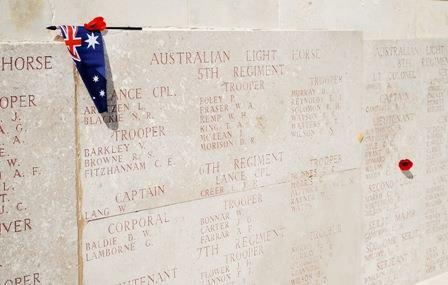 Thousands of Aussies, Kiwis and Turks stand side by side in friendship to remember and honour the brave soldiers who had landed at Gallipoli and either gave their lives or began what would be several months of fighting. We are standing at the edge of the very same beach and landing point, the flat ocean stretching out beyond us, the cliffs covered in thick scrub soaring tall behind. The beautiful peninsula is an unlikely homage to the thousands of soldiers who died here, fighting for their country, fighting for freedom. I stand here with my friends, bleary-eyed, as the first rays of light appear just visible on the horizon. And so the Dawn Service at Gallipoli begins. The night before we were wrapped in a ridiculous number of layers, including a sleeping bag, which we kept adding to as the temperatures dropped further. It was tough sitting there in the cold, let alone trying to sleep, hunched over with my head drooped. Some of us did manage to sleep on the floor only to be told to sit up as more and more busloads of people arrived throughout the night. We were fighting sleep and the cold, but our soldiers had been fighting men – other boys, other sons, husbands and brothers. We could tough it out for one night of our lives, surely. We drifted in and out of sleep while every half an hour clips played on the big screens — clips and stories about the Gallipoli soldiers as told by their families. I certainly learnt a lot about the Gallipoli campaign that night and how the Anzac legend came about. Born out of our men’s endeavours with their fearlessness and determination. An Anzac legend and a spirit that makes us so special a country today. Before too long, the laying of wreaths marks the end of the ceremony. Not one soldier who fought at Gallipoli is still alive today but the thousands who attend this service, and the thousands more at services around the world, all gather and remember them so their stories and spirits can live on. I head down to the beach and put myself in the soldiers’ shoes. I look up at those cliffs, at the rugged terrain and imagine the men fighting their way up. It seems like an incredible feat that they got up there at all, let alone alive. An Australian, New Zealand and Turkish flag hang on their respective poles at the edge of the beach, blowing ever so gently in the breeze, symbolising the coming together of our nations to remember our brave soldiers. We start the walk up to Lone Pine, almost 4km up the hill. A special Australian service takes place here on the site of the bloodiest battle during the whole campaign. Fighting was at close quarters in the Turkish trenches where men were not only fighting with guns but with their bare hands, fists and knives. A pine tree, overlooking the soldiers’ graves, is a reminder of what once filled the landscape before the battle, before the land would have looked like a war zone — literally. The pine was planted to symbolise the name the soldiers gave to this place, named after a popular song of the time. The Lone Pine memorial site is the size of a football field where up to 10,000 soldiers (Turkish and Australian) are believed to have died, their remains still in the ground beneath our feet. It’s a solemn place and I shudder at being here, on the site of such a bloody battle. Again, we take the time to remember. Like many Australians, attending the Dawn Service and other services at Gallipoli is a must-do pilgrimage and rite of passage. I am grateful for the bus that arrives to pick me and my friends up to take us back to Istanbul at the end of a very long couple of days. I’m grateful for the warmth and for the chance to sleep. But I’m especially grateful I got to experience being at the place where the Anzac legend was born, to witness the emotional sombre of the Dawn Service and to stand in silence and listen to the Last Post in the same spot where so many innocent lives were lost. It’s a very special experience indeed to travel to Anzac Cove on the Gallipoli peninsular where such events took place and to remember the soldiers who fought to secure the freedoms that I know I certainly take for granted today. Lest we forget. Q. What does it mean for you as an Australian in Turkey, at Anzac Cove, for the Anzac Day ceremony? A. It gave me a chance to come together with my fellow Australians to pay respect to the diggers. To be at this picturesque site and imagine the battlefield it once was gave me the opportunity to reflect on the sacrifices that were made. It makes me appreciate being an Australian more. The sense of national pride is shown by the many miles each and every person has travelled to be at Anzac Cove on this special day. Q. What was the experience being there like? A. Being at Anzac Cove was very emotionally moving. I think each person takes away a different view and sense of pride in their country home. 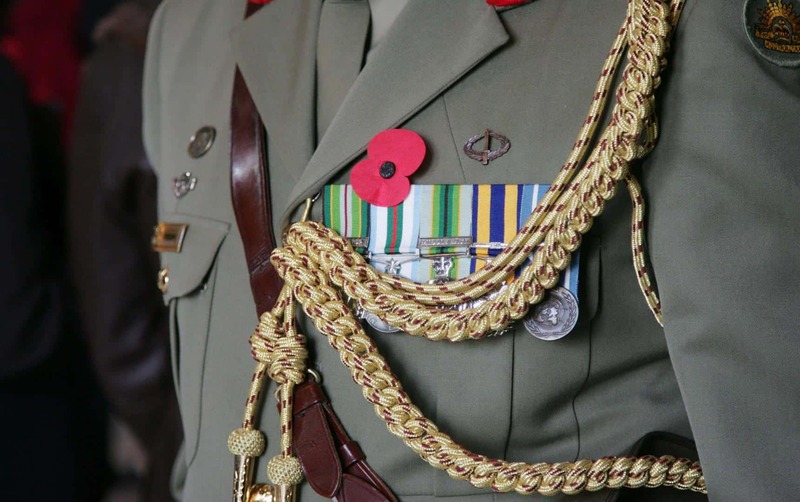 Events like Anzac Day allow all of us to come together as one. It brought a sense of national pride that so many people from all walks of life of varying ages and races have chosen to come together to commemorate the diggers who lost their lives. Q. What was it like staying at the site? A. Sleeping-over allowed us the opportunity to have a brief experience of the weather and conditions the soldiers faced. Although I’m sure we were better prepared. A. I would definitely go again and recommend it to all Australians. The memorials are there year round so you have the chance to visit these at any time. I think every Australian takes away something different from visiting these shores. Q. What does it mean for you being an Australian in Turkey, at Anzac Cove, for the Anzac Day ceremony? A. While I went with hardly any expectations, I walked away with much more of an understanding of why, as Australians and Kiwis, we go there and why it is important to remember all the events that happened there to truly comprehend the awful conditions the men who were sent there had to endure. A. It was so much colder than I had thought! I never could truly appreciate the bitter cold temperatures and winds until sleeping there under the stars. But it was incredibly moving – I’m not even sure there’s a word for it. Let’s just say I hadn’t ever fully appreciated why we commemorate Anzac Day until that point. I think every Australian and Kiwi should do it. Q. How did it feel to be there with thousands of other Australians, New Zealanders and Turkish? A. At that point I hadn’t been around so many people from my own country since I’d left Australia. It was a great feeling of camaraderie. It made me appreciate being Australian more. And appreciate our history more. And appreciate the reason why ‘lest we forget’ are such powerful words. A. If I had the time and money I would go again. I think the experience would be no less powerful each time. I would encourage anyone to go. It’s not what you would call a ‘fun’ experience; it was quite tough – no sleep, freezing cold, long walks carrying a lot of things (if you don’t plan well like us!) But it was worth it. It was informative – I learned a lot of things. It meant a lot. Q. What does it mean for you as an Australian at Anzac Cove for the Anzac Day ceremony? A. I have grown up in a family of soldiers and have had a number of family members fight in wars over the years, including most recently my brother returning from Afghanistan for the second time. 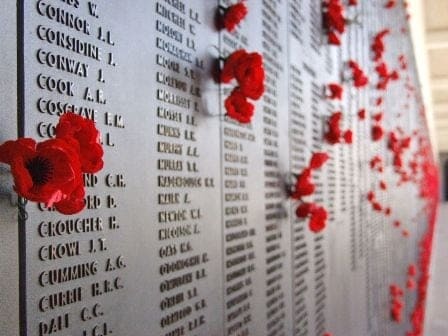 I may not have a personal connection to Gallipoli, but it’s the understanding and respect to all those who have fought and many that we as a nation have lost over the years at war. A. To go to the site of that infamous day was incredibly sad because the peninsula and coast line surrounding this part of Turkey is so picturesque and there is a sense of peacefulness about the place. The sound of the bugle playing the Last Post is probably one of the most spine chilling moments of Anzac Day. I am grateful for what those selfless soldiers sacrificed in order for our country to be what it is today, and I believe that we do live in the best country in the world and even crazy young travellers will make the effort to travel to Turkey to be a part of the patriotism and pay their respects to all those lost. A. I’m not going to lie… sitting in a grandstand all night long in the freezing cold (and I do mean freezing) rugged up in four or more layers with a sleeping bag pulled up to the chin with zero sleep is not my idea of fun. However, when you remember what those soldiers went through and the cold, fear and hunger they must have faced… it was a small price to pay to commemorate such a patriotic day.